Almost everyone has experienced the unbearable itch of a mosquito bite. In this article, you will learn all you need to know about stopping mosquito bites from itching. This article will cover why mosquito bites itch and the reactions you may experience. You will also discover why scratching a mosquito bite should be avoided, however tempting it may be. Are All Mosquito Bites Itchy? Mosquitoes are winged insects that feed off warm-blooded hosts. Although only the female members of the species are bloodsuckers. There is no universal reaction to mosquito bites – everyone responds differently. There are several factors that influence how itchy your mosquito bite will be. When you are bitten or stung by an insect, your body will react to it. How severe this reaction is depends on the individual. For example, bee or wasp stings can cause fatal complications in some people. Thankfully, mosquitoes are not venomous. However, they do inject their saliva into your skin while feeding. The primary function of the mosquito’s saliva is to act as an anticoagulant to help the female feed more easily. A mosquito’s saliva is complex, containing over 100 different proteins. Once inside your skin, it triggers your immune system to respond. This saliva is the substance that provokes the bite reaction rather than the bite itself. Once bitten, antibodies known as immunoglobulin E (IgE) are released to the bite location. Higher levels of IgE are directly associated with allergic reactions—including itching. The amount of IgE released will influence the size, itchiness, and swelling of your bite. If you are desensitized to mosquito bites, you may hardly even feel an itch. One study revealed that people living in mosquito-endemic areas developed a tolerance for mosquito bites. These subjects had high amounts of antibodies in their blood that counteracted the mosquito saliva effects. Another study examined the various manifestations of mosquito bites. Some individuals only displayed red weals with no persistent itch. In others, bites appeared as small, intensely itchy bumps. In general, the larger the size of the bite, the itchier it will be. Those who experience frequent allergic reactions to mosquito bites are also more likely to suffer itchier bites. Your genetics and gender may also play a role in how itchy your mosquito bites are. Women tend to report larger, more irritating mosquito bites than men. For any insect bite, there are three basic levels of reaction, ranging from mild to serious. The most common type of reaction to a mosquito bite is referred to as localized. In mosquito bites, this entails a red, itchy bump. The bite may be slightly swollen, but otherwise, you have nothing to be concerned about. The second type of reaction is toxic. This may occur if you were bitten repeatedly by many mosquitoes at once. You may suffer a low-grade fever, dizziness or an upset stomach. At this stage, the bites may blister or swell into hives. You might also notice redness on the skin surrounding the bites. Pertaining to mosquito bites, a severe toxic reaction is known as hypersensitivity to mosquito bites (HMB). This rare disorder can escalate to kidney failure if untreated. Symptoms include blisters and pustules, high fever and muscle cramps. Some individuals, usually children, may experience Skeeter’s syndrome. This condition commonly causes fever and vomiting. The area surrounding the mosquito bite will grow red and inflamed. Painful blisters and a rash may also occur. The most severe type of reaction you could suffer from a mosquito bite is anaphylactic shock. Anaphylaxis is an extreme allergic response to insect venom or saliva. Fortunately, it is rarely caused by mosquito bites. Anaphylaxis develops shortly after you are exposed to an allergen—in this case, mosquito saliva. Symptoms can include vomiting, shortness of breath, and heart palpitations. Anaphylaxis can be fatal if untreated. If you experience these symptoms after being bitten by a mosquito, seek urgent medical attention. A female mosquito has to feed off you for more than six seconds to provoke a reaction. The bite itself will manifest within hours to days afterward, depending on your immune system response. As with how itchy your bite is, how long it will irritate you varies from person to person. Most mosquito bites will stop itching after several days. The duration of the itching relates to your sensitivity and if you are treating it. If you are suffering from blisters or hives, it can take more time for the bites to heal fully. Unbearable itching can be alleviated with over-the-counter treatments. Treating hives or blisters can also lower the risk of potential scarring as well as soothe itchiness. In susceptible individuals, a mosquito bite can turn into a chronic condition. Papular urticaria is the result of an extreme sensitivity to mosquito saliva. Another name for this recurring illness is insect bite hypersensitivity. Aside from painful itching, welts can also develop all over your body. Lesions can disappear and reappear periodically, long after the mosquito bite has disappeared. Young children between the ages of two and seven are most likely to be afflicted. However, papular urticaria can occur in adults too. Resisting the urge to scratch your mosquito bites may seem impossible. However, there are very good reasons why you shouldn’t give in to temptation. A mosquito bite is an open wound. Just as you wouldn’t scratch at an injury, avoid scratching a bite. Excessive scratching can transfer harmful bacteria from the surface of your skin into the bite. This can result in a secondary infection. If you have blisters from your mosquito bite, do not pop them. You will be exposing the raw skin underneath the blister to potentially harmful pathogens. If your child has been bitten by a mosquito, take precautions to avoid them scratching. Keep your child’s fingernails short, and encourage regular hand washing. You have a range of options when it comes to relieving mosquito bites. The faster you treat your mosquito bite, the quicker it will heal. As soon as you notice you have been bitten, clean the affected area. Carefully wash the bite or bites with antiseptic soap and water. This can help flush out the remaining mosquito saliva and reduce the risk of infection. If you have blisters, take care not to burst them. Applying an ice pack directly to the bite can alleviate swelling and pain. It can also offer you temporary relief from the itching. For blisters on, or surrounding, the bite, it may be better to use a cool washcloth. You do not want to accidentally pop any of them. You should not keep ice on your bite for extended periods of time. Leave your ice compression on for a maximum of several minutes at a time. 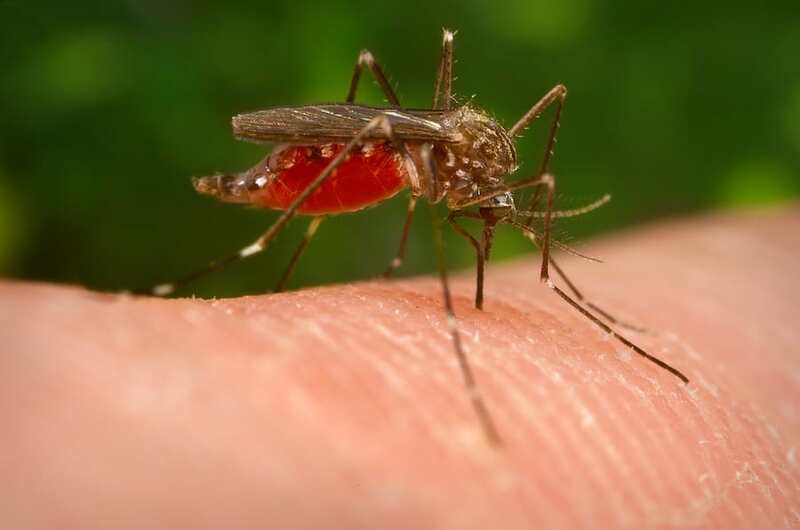 A study confirmed that heat can reduce the unpleasant symptoms of mosquito bites. When the bites were exposed to high temperatures, symptoms rapidly disappeared. The subjects enjoyed reduced itching, swelling, and pain, 10 minutes after applying heat to the bites. You can purchase special devices that use concentrated heat in a safe and effective way. To have any effect on the bites, the temperature these tools operate at is fairly high. They are also used for short bursts of time. You can purchase one at your local pharmacy. If you want to apply heat to your bites at home, take basic precautions. For example, if you use a hot water bottle, ensure that it is covered in an appropriate protective case. Heat treatments for mosquito bites should not be painful. As with ice packs, do not apply heat directly on your skin for extended periods of time. You don’t want to end up with irritated skin as well as a mosquito bite. Some home remedies recommend setting a heated spoon on your bites. It is not advisable to do this; if the spoon is too hot, you can end up with burns. Mosquito bites can be painful. Popped blisters, swollen welts, and hives can all cause discomfort This can be particularly unpleasant if you have been bitten repeatedly. You can take non-prescription painkillers, such as Ibuprofen, to ease the pain. If your child has been bitten and is aged 16 or under, do not give them aspirin. Antihistamines are medical drugs that work to combat allergic reactions. You can check with your pharmacist for a suitable antihistamine for you or your child. These medications are useful for relieving the itching and swelling caused by mosquito bites. They come in the form of tablets, gels or creams. Loratadine is one such commonly-used antihistamine. It can reduce the size of mosquito welts and allow bite relief. It is also appropriate for use in children. Cetirizine and ebastine are two other types of antihistamine. Cetirizine, in particular, has potent abilities against itching. However, it can cause drowsiness in some individuals. Calamine lotions, gels, and creams can all be used safely by both adults and children. This compound works to soothe itching from all sorts of skin irritations—including mosquito bites. You can purchase calamine lotion without a prescription. Make sure to read and follow the guidelines prior to application. If you notice any unusual skin reactions (e.g., burning), wash the calamine off immediately. Hydrocortisone creams and ointments contain a mild steroid that can treat mosquito bites. They can reduce swelling, pain, and itching. Check with your pharmacist before applying hydrocortisone to a child, and do not apply this type of cream to bites around your mouth, nose or eyes. Although uncommon, mosquito bites can provoke serious allergic reactions. Most mosquito bites will subside within a few days, but if your bite is worsening after a few days, consult your doctor. Hives, blisters, and a rash are all signs that you might be hypersensitive to mosquito saliva. If none of the aforementioned treatments soothe your bite, you might require prescription medication. Your doctor may recommend steroid tablets. Alternatively, you might have to receive antihistamines intravenously. Examine your mosquito bites and those on your children for signs of a secondary infection. If the swelling and pain have not improved after several days, the bite may be infected. If you suspect that either you or your child are suffering from anaphylaxis, head to an emergency room immediately. Vomiting, shortness of breath and fever are never normal occurrences after a mosquito bite. Other symptoms of anaphylaxis include swelling of the face, lips, and tongue. Dizziness and fainting may also occur. Mosquitoes are carriers of disease, such as the notorious Zika virus. Any illness occurring shortly after a mosquito bite should be monitored carefully. This is especially important if you live in a region with known populations of disease-carrying mosquitoes. It is preferable to avoid the irritation of a mosquito bite in the first place. There are steps you can take to reduce your risk of being bitten again. Apply mosquito repellent if you are going to spend time outdoors. Use child-safe insect repellents on younger family members. If mosquitoes keep entering your home, take preventative measures. Install netting or screens on windows and doors. If this is not possible, try to keep windows and doors closed—particularly at night. Stagnant water is the ideal breeding ground for mosquitoes. Check your garden for old pots or containers that could be collecting water, and clean them out. It is best to purchase an insect repellent approved by the Environmental Protection Agency (EPA). Natural repellents may not be as effective in keeping mosquitoes away from you. Now you are familiar with all the methods of stopping mosquito bites from itching. You can also begin safeguarding you and your children against them. Serious allergic reactions to mosquito bites do not happen very often. Still, knowing the warning signs means you can be prepared for any eventuality.